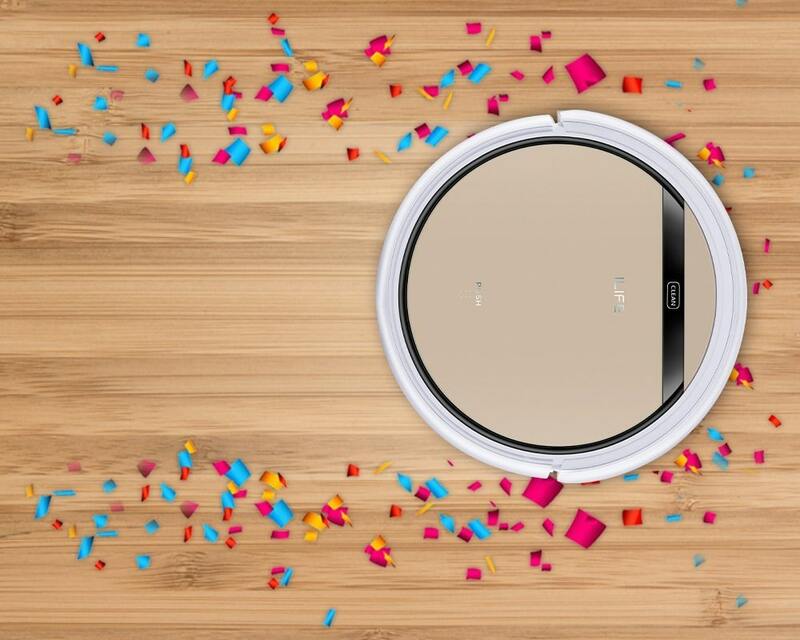 If you’re looking for an economic robotic floor and carpet cleaner, the ILIFE V5s Pro robot vacuum cleaner packs a good deal of power, functionality and advanced features. The best value for the price is its 2-in-1 cleaning function. Yes, the V5s Pro is both a vacuum and a wet mop. Auto Cleaning Mode – This mode is for when you want an entire room cleaned. It even changes its cleaning intensity as it goes along depending on the dirt, dust, etc., it encounters. 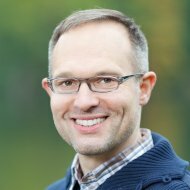 Edge Cleaning Mode – The robot focuses on cleaning along corners and edges of walls. Spot Cleaning Mode – You can direct it to clean a particular spot. Schedule Cleaning Mode – You can schedule a time in the day when you want the robot to start cleaning. What makes this robot floor cleaner a good value for the price, though, is its design and advanced features. They allow it to clean both floors and thin carpets. The ILIFE V5s Pro consists of two main components: the robot and the charging home base. The robot measures 11.8 x 11.8 x 3 inches. 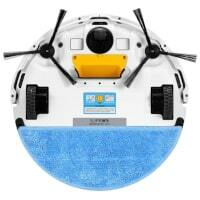 Its shape is round, it weighs 4.5 pounds and glides along floors and carpet on wheels guided by sensors. It runs on a rechargeable lithium ion 2600mAh battery and the voltage of its charger is 100-240VAC, with a power rating of 50/60Hz 20W. A power adapter comes with the unit. Full charge time is about 280 minutes, providing up to 120 minutes of cleaning time. Front bumpers to avoid and protect furniture and walls as it cleans. A bottom cover to protect interior components. There’s also a remote control so you can direct your cleaning robot to mop up a mess or change its cleaning function. ILIFE also sends along some additional provisions for the robot, including an extra filter, a mop cloth, extra side brushes, a cleaning tool and a user manual. The product is covered with a one year warranty. The robot doesn’t come with a name, so feel free to give it one. Most V5s Pro users can’t resist doing so. And rightly so. It is your personal house cleaner, after all. When your robot floor cleaner arrives, it comes with a quick start guide. It takes only three steps to get started. Place the charging base against a wall and connect the included adapter to the electrical outlet. Turn the robot’s power switch on and place it in the charging base. A full charge is recommended for the first time. Once the charging lights turn off, it’s ready to go. Tell your robot to clean by pressing the “clean” button once to wake it up and then again to start the cleaning function. 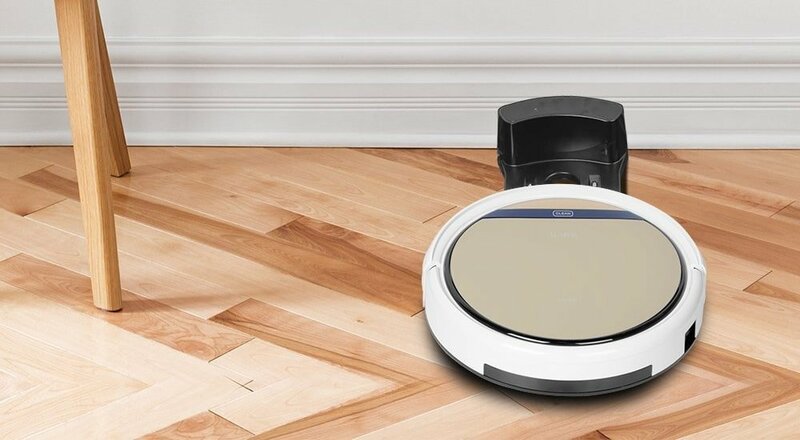 As with all robot cleaners, the V5s Pro is a time-saver when it comes to cleaning up dirt, spills, pet hair and other messes. But this model is extra special because you can easily switch from vacuum to mop. Making it even more special is its versatility. It is designed to clean hardwood, tile, vinyl, marble, linoleum, laminate and other types of hard floors, as well as thin carpets. The emphasis is on thin because it will get stuck on thick, plush carpets. The vacuum is powerful, effortlessly taking up dust, crumbs, hair balls, and other debris. To use, insert the dust bin, which has a capacity to hold 0.3 liters of dirt. Unfortunately when it’s full, there is no warning light or sound to alert you that it needs emptying. If you need even more power, the V5s Pro has a max mode. It provides five times the suctioning power. It works really well in very dusty areas, like under beds, or for big messes, like when lots of crumbs fall on the floor. To switch to the mop function, attach the mop bracket and the microfiber mop cloth to the robot, remove the dust bin and add the water tank. It holds 300mL of water only (no detergent), enough for 80 minutes of wet mopping. The mop mode incorporates i-dropping technology to disperse the water. The water tank’s two nozzles spray water onto the mop cloth to dampen it and add only water drizzles to the floor when the robot is moving. This prevents pools of water on hardwood floors or water logged tiles. The mop function does a really good job cleaning stains from spilled juice, grime left from bottoms of shoes and dirt tracked in from outdoors. In both vacuum and mop functioning modes, the unit operates quietly, which is a key factor in homes with babies or pets. 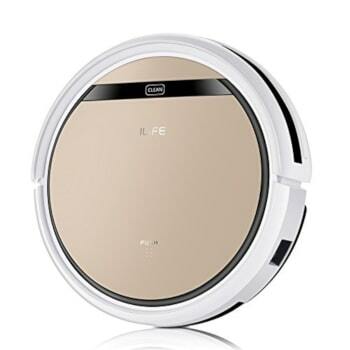 In terms of rating its cleaning power, the ILIFE V5s Pro robot gets high marks for vacuuming up pet hair. It also performs well mopping up spills. 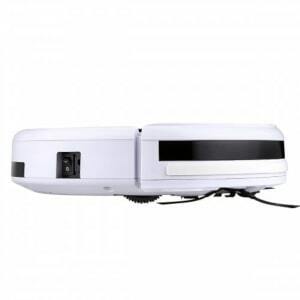 Anti-collision sensors that detect and avoid obstacles on the floor, such as furniture and toys. Smaller items, like clothes, cords, etc., should be removed from floors before cleaning. Anti-fall sensors that sense and avoid stairs. However, steps over 10mm might not be recognized by the sensors and the unit may fall. Automatically returns back to its charging base when it finishes its cleaning job or to recharge. One obvious missing feature is floor mapping. But that’s one trade-off you have to make for the lower price. Since the robot doesn’t remember a room’s layout or where it had previously cleaned, some spatial analysis discrepancy may occur. If it does, you have to manually move the machine to another spot. 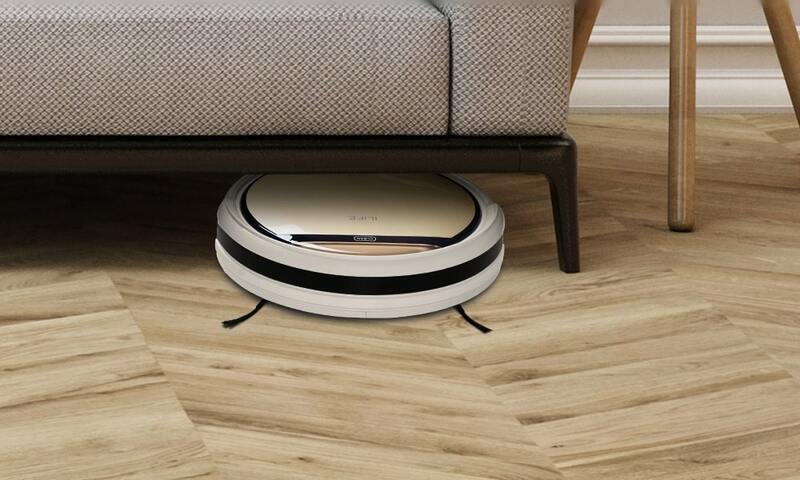 While the robot might get you out of vacuuming and mopping floors, it’s not maintenance-free. You have some upkeep to perform to make sure your automated floor cleaning machine continues doing a good job. 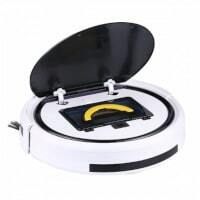 Auto charging pins on robot and connecting points on charging home base – Gently clean with a soft, dry cloth. It’s important to stay on top of the maintenance because even a small bit of dirt can mess with the robot’s advanced sensors and cleaning performance. 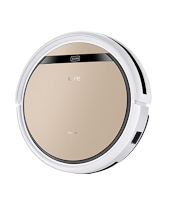 If you’re looking for an inexpensive automatic floor cleaner, the ILIFE V5s Pro robot floor cleaner is worth a look. It might not have all the smart features of more expensive models, but it does a good job with vacuuming and mopping. The V5s Pro model is a good value solely on its performance. It vacuums and wet mops, plus it can be used on most floor types as well as thin carpets. It excels as a vacuum sucking up pet hair, spilled dog food, cat litter, crumbs and other little bits. As a wet mop, it perfectly cleans stains and spills without saturating the floor with water. Granted, it doesn’t have all the advanced features of the more expensive floor cleaning robots, but it has a lot going for it in terms of saving time while requiring minimal maintenance. It’s especially beneficial for cleaning quick messes and spills. 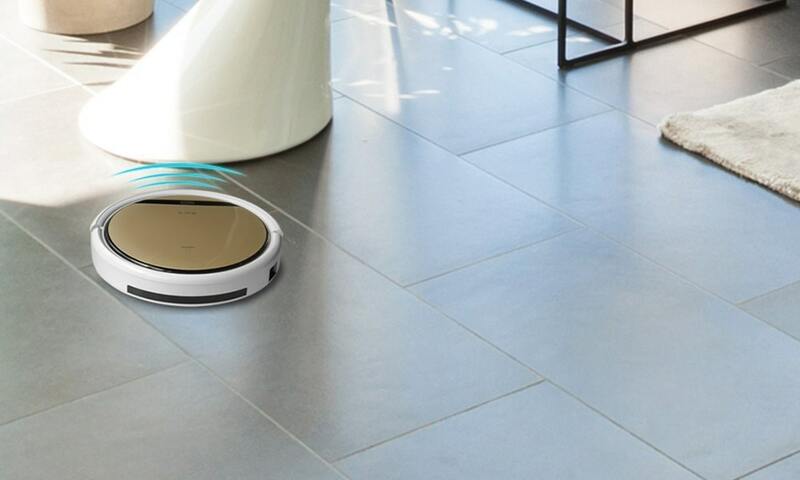 This robot floor vacuum and mop is definitely something you will come to depend on daily.